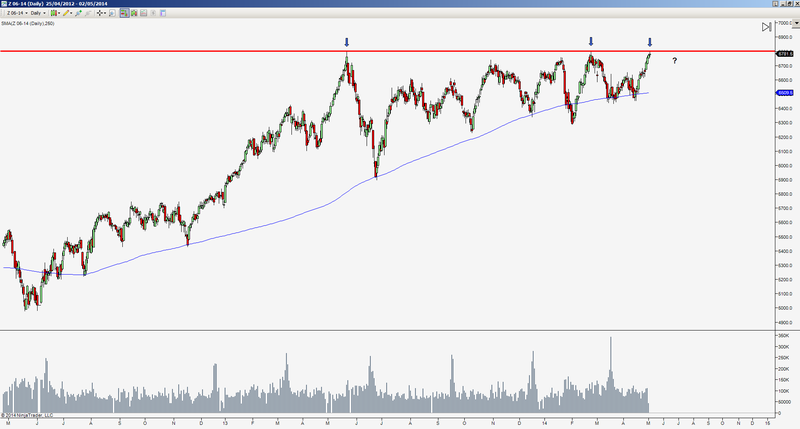 This caught my eye: a potential triple top on FTSE futures ? Now clearly this is a bull market, so going short… doesn’t strike me as the best strategy. Nevertheless I can’t resist posting my weekend technical analysis (simpler, the better as far as I’m concerned).